After a couple of months of rumors and speculation on the MLS to Austin front, there has been a recent flurry of news stories that would suggest that we are closer to knowing whether or not Austin will have an MLS team in 2019. Perhaps the most interesting development happened yesterday, when the Ohio Attorney General and the City of Columbus filed a lawsuit against PSV and MLS to try and force compliance with the so-called ‘Modell Law”. I wrote back in January about the ‘Modell Law’, and why I don’t think that ultimately it will prevent MLS in Austin, and my opinion on that hasn’t changed. That being said, it’s an interesting move that could have some immediate consequences. February 21 – Kevin Lyttle publishes an excellent story in the Austin American-Statesman about McKalla Place, citing to my article on the same topic. February 23 – Lead sports writer at the Statesman, Kirk Bohls, writes a searing editorial questioning whether Precourt and the City of Austin have dropped the ball completely. February 26 – Bobby Epstein announces that the USL will return to Austin in 2019, and that he will field a professional soccer team at the Circuit of Americas next year, basically making the assumption that PSV are not coming to Austin. USL is the tier below MLS, although there is no promotion and relegation between the leagues. 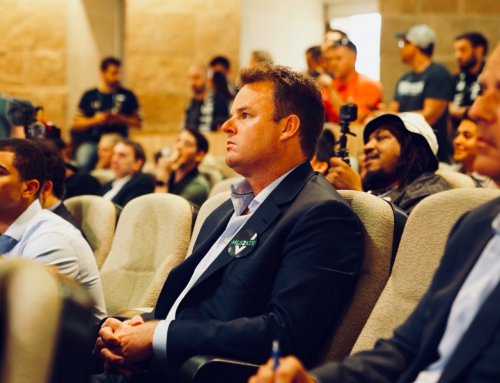 February 27 – Anthony Precourt breaks his 5 month self-imposed silence and issues a press release saying that he is continuing to explore Austin as a site for MLS, and that the benefits to Austin would exceed $400 million. 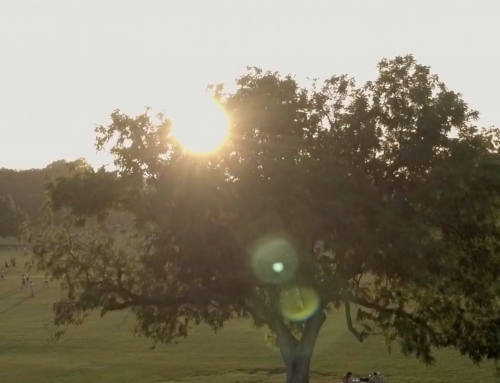 February 27 – Later that evening, the Austin Parks board votes unanimously to recommend removing Guerrero Park from the list of potential stadium sites that the Parks Department helped put together. The recommendation is non-binding but illustrates that dealing with the City of Austin can be unpredictable to say the least. 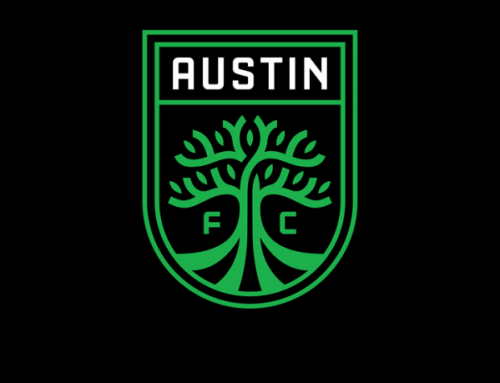 March 1 – The Greater Austin Hispanic Chamber of Commerce issues a statement calling on the City of Austin to “fully commit” to bring MLS to Austin. 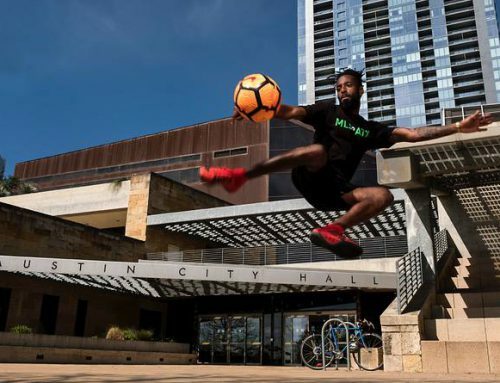 March 2 – Precourt gives his first interview in more than four and a half months to Kevin Lyttle of the Statesman, in which he says that he is still determined to move to Austin, but only if an ideal stadium is found. Precourt reasserts his desire to be within the “urban core”, but does say that the McKalla Place site is extremely attractive. He also says that the team are considering private land too. March 5 (yesterday) – The Ohio lawsuit is filed. A copy of the lawsuit can be found here. Unlike most people on social media, I have read it. “Ohio and Columbus are filing this lawsuit to ensure that PSV and MLS comply with R.C. 9.67”. R.C. 9.67 is the so-called “Modell Law”. The Court’s oversight in ensuring compliance during the negotiation phase. For a full legal analysis of the Modell Law, you can read the article I wrote a few weeks ago here. The law was written in response to the Cleveland Browns relocating to Baltimore in 1996, but it was not written with the MLS owner-operator structure in mind. Remember, PSV doesn’t own the team, MLS does. My conclusion was that, even if the law does apply, MLS could easily revoke PSV’s license to play in MLS by a show of hands at a board meeting. So, in short, Ohio might be able to force the Columbus Crew to stay in Ohio, but they can’t force MLS to allow that team to play in the league. 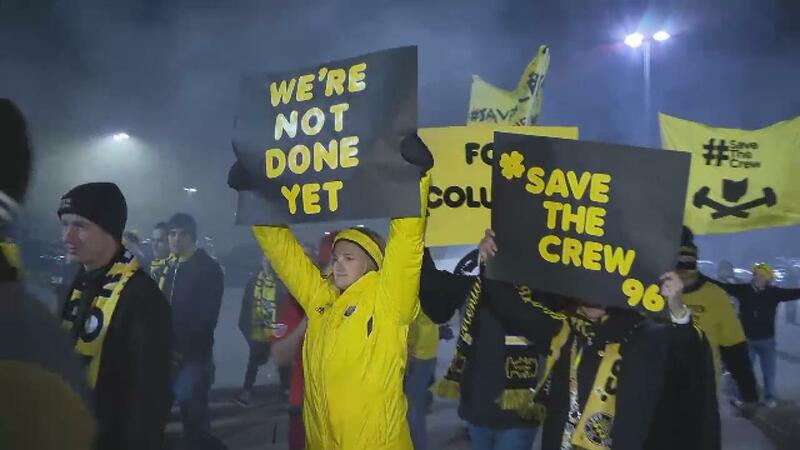 The Columbus Crew would be saved, but they wouldn’t be able to play in MLS. And Ohio cannot stop MLS from issuing a new license to a new entity to play in Austin. 1. How will PSV and MLS respond? Apparently PSV will make a statement later today on the lawsuit. But PSV and MLS are now going to have to take a position here. Do they agree that the Modell Law applies to this situation or not? They have a choice. They could either say that, yes the law applies, but that they will give notice if and when the time is right. Or they could say that the law doesn’t apply and that no notice is required. It certainly forces the issue, and that for me is the most interesting thing about this lawsuit. 2. If notice is required, when is it required? When I say “notice”, I’m referring to the statutory language that says an owner of professional team must give six months advance notice of their intention to cease playing most of their home games in Ohio. I’ve said it before and I’ll say it again, the statute is horribly drafted. Apparently six months before something happens, the owner is to provide notice to somebody. But six months before what happens? The statute doesn’t say. Is it six months before the owner has the idea to move? Is it six months before the owner announces a move? Is is six months before the start of the season? Is is six months before the first home game? Or is it six months before the team actually ceases playing most of its home games – i.e. half way through the 2019 season. My point is that MLS and PSV could easily come out and say that this lawsuit is premature. No decision has been made, and that even if it does apply, the six month notice period has yet to commence. 3. Will MLS and PSV have to ‘open their books’ in discovery? A lot of the chatter on social media from Columbus seems to be excitement that finally PSV and MLS would finally have to open their books and records in discovery. I had a twitter exchange with State Representative Mike Duffey about this back in January. But that’s not always how discovery works. First of all, the finances of PSV and MLS have to be relevant to the lawsuit, and currently as pleaded, I don’t know that they are. I don’t think PSV and MLS would dispute any of the financial allegations and the state benefits received. So it’s not an issue. The only issue as pled is compliance with the statute. Second of all, parties to a lawsuit can apply for a protective order or move to provide documents ‘under seal’. If granted, all documents exchanged in discovery would not be open to the public. And if a judge perceives that the actual purpose of this lawsuit is just to expose the defendant’s private records, then that’s not going to go down well. I wouldn’t get too excited about this lawsuit revealing the inner working of MLS. 4. Will a Court issue a preliminary injunction to stop a move? Same disclaimer as before, I’m not a licensed attorney in Ohio, but usually for a preliminary injunction you have to show ‘imminent harm’. I don’t think that we are there yet. To get an injunction to stop a move, the AG is going to have to prove that there is about to be a move. And so far, I don’t know anyone who is prepared to say for sure that PSV are actually moving to Austin. It certainly is not happening “imminently”. So I don’t expect there to be a hearing on a preliminary injunction any time soon. Anyway, those are my early morning thoughts. 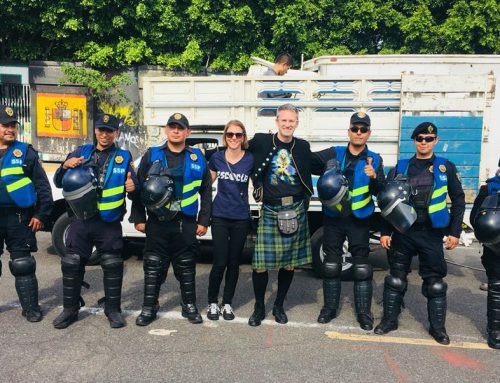 We may learn more once PSV and/or MLS respond in the next few days and weeks. There is still a lot of uncertainty but, if nothing else, this lawsuit may accelerate a decision one way or the other. Has there ever been a successful injunction that kept a team from moving? I believe that’s a “no”. Without an injunction, the Crew can slip out of town on a minutes notice. All you need is a couple of moving vans. I don’t believe there is ever been an injunction like that. My point in the previous article was that even if an injunction was granted, a Court couldn’t force MLS to allow the Columbus Crew to play in its league in 2019. Teams don’t have an irrevocable right to play in MLS, that right can be revoked by the MLS Board of Governors at any time. So if there was an injunction in place, the MLS Board could still just grant a new license to a new team in Austin. They could try and force a sale, but it would be the sale of a club without a league to play in. Pete – I really appreciate you sharing your opinions on this. When I first heard of ORC 9.67 a few months ago, the idea of MLS revoking the license crossed my mind as well. It seems to me that doing this would not be in the spirit of the law and MLS would risk being in contempt of court if they tryed to use that as an end around against an injunction. One of the many problems is that the law does not clearly define “team.” I would think a judge would assume it to include the tangible assets (stadium, etc. ), intellectual property (logo etc. ), financial assets and liabilities, as well as the existing contracts (sponsors, employees, players, etc.). Amongst the exsting contracts, there would most likely be something regarding the MLS license. It’d be nice to know what the existing contract is between PSV and MLS along with the contract between other “owner/operators” and MLS. What are the scenarios that allow MLS to contract or move a team against an owners will? That clause for a potentail new owner would need to be similar to the other contracts or else it may not be considered a true “opportunity to purchase the team.” Again, the definitions are vague, but the intent of the law is not. KentL – I agree with a lot of what you are saying. While I don’t see that MLS or PSV will have to open their financial records, it’s possible that we learn more about the PSV / MLS relationship in this lawsuit. My understanding is that it is more like a license than a contract. In other words the Crew’s right to play in MLS is revocable by the league and not an independent contractual right that belongs to the team. It’s certainly going to be interesting.